Look south towards Vitosha from the central streets of Sofia and you might think its highest point is not Cherni Vrah (tucked in the distance somewhat further south), but the prominent rocky summit of Kamen Del. With its 1862 metres, it might be a noticeably lower peak than Cherni Vrah, but because of its position within clear and direct sight of practically the entire Bulgarian capital city, Kamen Del is deservedly known for the clearest and widest panorama of Sofia. 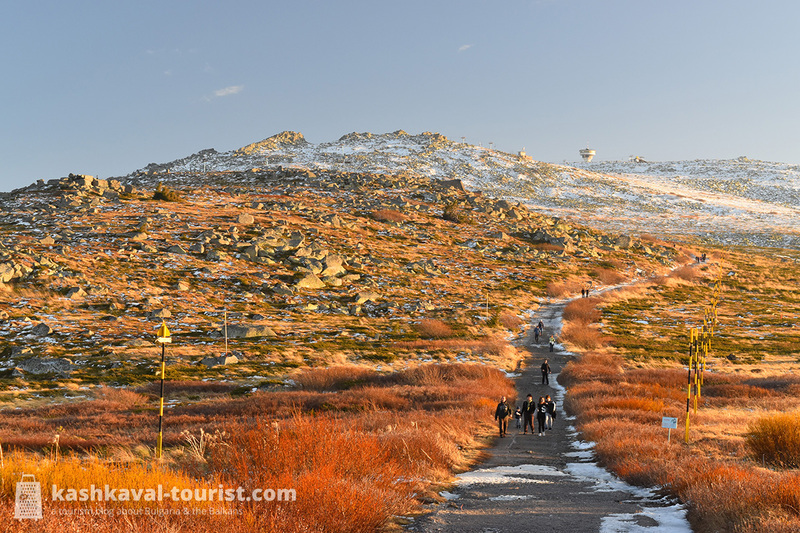 Though it barely rises above the turf and moss of the Big Plateau, Kamen Del (Камен дел, “Rocky Part”) has rightfully earned its name – it is surrounded by what can be described as a stone sea of andesite boulders. 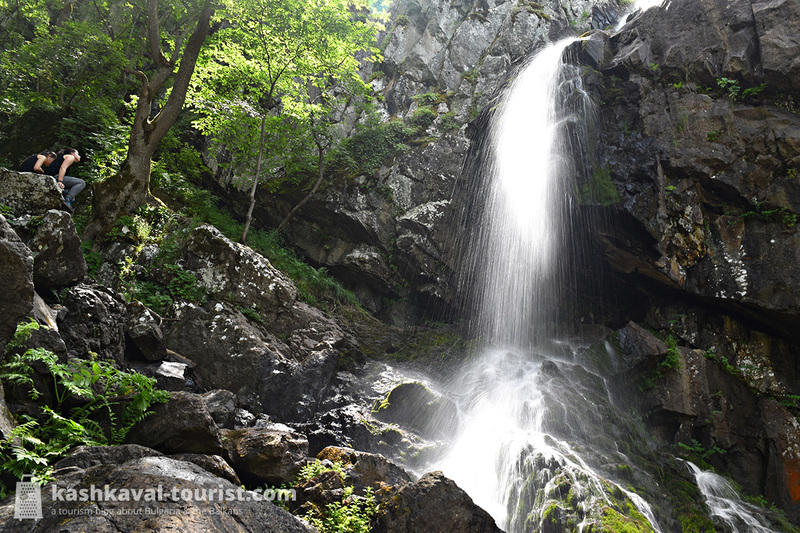 Hidden deep inside the thick beech forests above the Boyana neighbourhood of Sofia you’ll discover Vitosha’s highest waterfall, the imposing Boyana Waterfall. At its site, the white waters of the Boyana River strike the rocks below after a 25-metre drop, creating an unforgettable visual as well as acoustic experience. It might be shorter, but the direct trail to the Boyana Waterfall is notoriously vertical and a challenge for your knees, though there’s no substantial danger of falling. For a somewhat more relaxed hike, take the detour passing through the Boyana Lake. And by all means combine your waterfall walk with a visit to the magnificent UNESCO World Heritage Boyana Church in the neighbourhood just below! 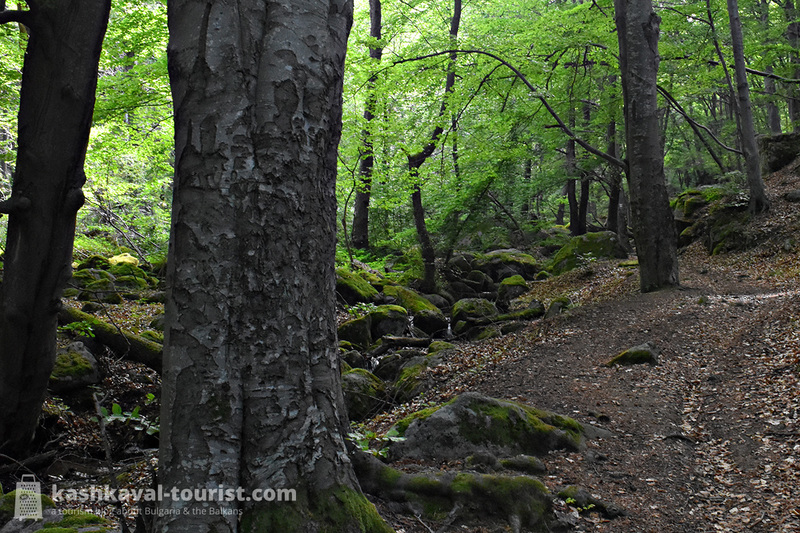 You’re an experienced Vitosha explorer and by now you feel like you know all the trails from Sofia like the palm of your hand? Then it’s time to venture into the “dark side” of Vitosha and see what it’s like from the south! Relatively unpopular but just as beautiful as the well-trodden paths closer to the capital, the scenic Eco Trail of Health begins in the village of Kladnitsa and follows the river of the same name. It continues upstream past the humble and serene Kladnitsa Monastery to the Selimitsa Hut. There, you can enjoy a simple but hearty mountain meal and marvel at the nearby stone river. And if you’re in for a greater challenge, you can hike further up from Kladnitsa (Кладница) and Selimitsa all the way to Cherni Vrah. 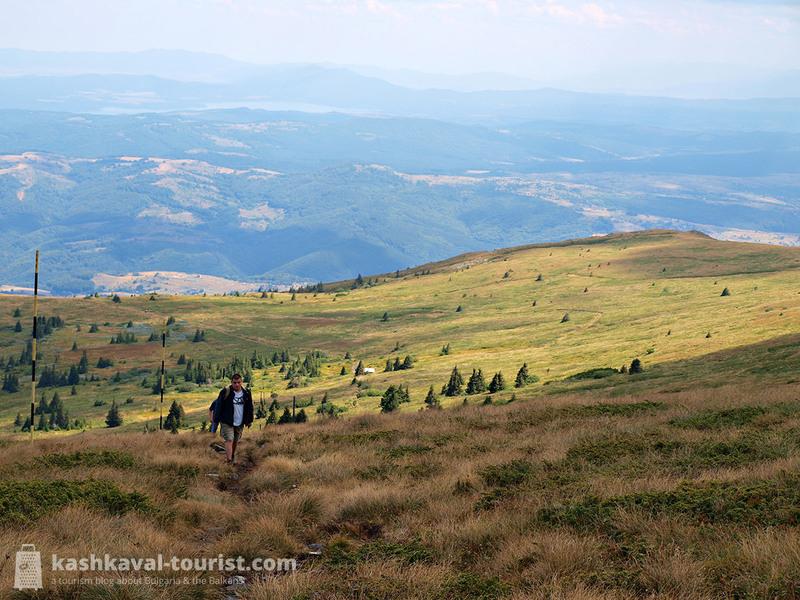 The vistas of Pernik and the Studena Reservoir below will be a welcome change from what you’re used to on the other side – and you’re likely to have the trail to yourself, as only a fraction of hikers take the trouble to start their summit trek from there. 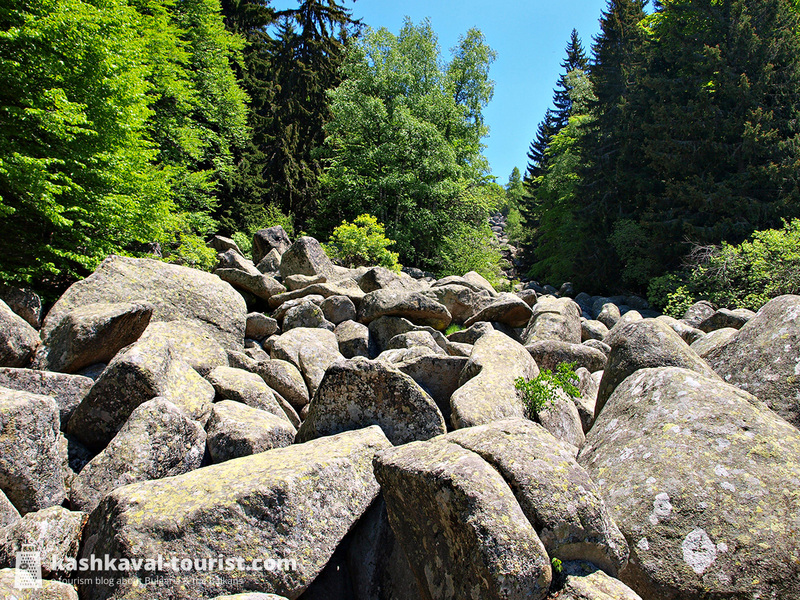 Vitosha and the Sofia Valley are nationally renowned for their hot springs of mineral water, a remainder of volcanic activity in the distant past. However, it’s only the mountainside village of Zheleznitsa that boasts two natural hot springs converted into stone hot tubs, hidden in the woods and free for everyone to enjoy! Otherwise, Zheleznitsa (Железница), just south of Sofia and the bigger Bistritsa, is an excellent starting point for at least two very enjoyable summit hikes to Cherni Vrah via Skoparnik. The more popular one goes past the Fizkulturnik Hut, though the alternative, which visits the iconic Blue Arrow shelter, comes highly recommended. Now that’s a classic Vitosha walk that many elderly Sofia residents seem to do every sunny weekend! 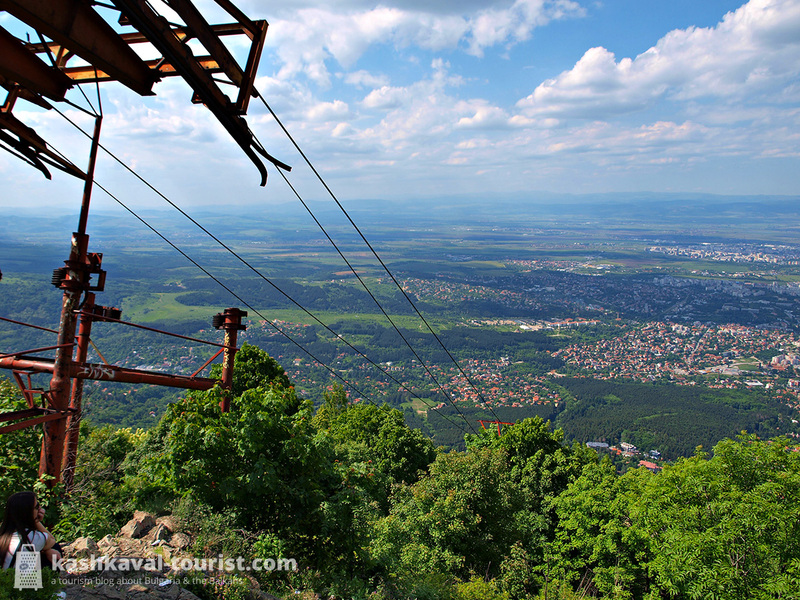 The hike from the Knyazhevo terminus of the 5 tram to the Kopitoto TV Tower is a pleasant forest ascent that is both very reachable and quite refreshing on a scorching summer day. Unless you’re doing it like Bulgarian mountaineering legend Boyan Petrov, that is, who runs the 800 metres of altitude difference while carrying a ten-litre bottle of water on his back! When you reach the hoof-like Kopitoto (Копитото) outcrop and the capital city’s landmark TV tower, go through the abandoned lift station for a decent panorama of Sofia’s western districts (but watch your feet). And if you’re craving some basic food and drink, the Momina Skala area with its huts and restaurants is not too far away. Despite the mountain’s proximity, the transport links from Sofia still leave something to be desired, especially on weekdays. The Vitosha Metro Station is the closest rapid-transit link to the mountain. As such, it’s the best place to catch a bus to many of the mountainside neighbourhoods or to the lifts that can take you directly into the higher reaches of the mountain. A second bus hub for the mountain is the G. M. Dimitrov Metro Station. Overall, the Sofia Traffic website offers decent journey-planning tools and can suggest the most convenient route based on your current location and destination. And a fantastic transport map of Sofia is available online from True North. The Vitosha Nature Park administration has a great overview map of the main trails, but the online version is in Bulgarian and Cyrillic only. To get to the Dragalevtsi chairlift, which works only on weekends and holidays, take the 93 bus from Vitosha Metro. The lift’s end station at Goli Vrah is the easiest and most popular choice for a summit walk to Cherni Vrah. On weekdays, you can start your hike down in the Dragalevtsi neighbourhood itself, also accessible via tha 64 bus. And on weekends, the 66 bus continues past the chairlift up to the Aleko ski area (Hotel Morenite). The more modern and pleasant Simeonovo gondola goes up to the Aleko ski area too, but it’s also open only on weekends and holidays, unfortunately. It can be reached via the 122 bus from Vitosha Metro or a longer ride on the 123 bus from G. M. Dimitrov Metro. The Boyana neighbourhood, home to the Boyana Church and the trailhead for your waterfall hike, is connected to central Sofia by the 63, 107 and 163 buses from Tsar Boris III Boulevard and the 64 bus from Vitosha Metro. On weekends, 63 and 163 go up to the Golden Bridges. To reach the Knyazhevo trailhead for the Kopitoto hike, take tram number 5 from central Sofia (terminus behind the Chamber of Justice) or at any point on Tsar Boris III Boulevard. The 98 bus from Vitosha Metro goes to the southern villages of Bistritsa and Zheleznitsa, though it takes a while to get there. Alternative, though not shorter, are the 69 and 70 bus routes from G. M. Dimitrov Metro, which also extend to both villages (the 70 continuing to Plana). Kladnitsa has bus transport only from the closer town of Pernik. However, marshrutka minibuses from the Russian Monument in central Sofia go there every hour too. Thank you so much. I’m going hiking! You’re welcome! Enjoy Bulgaria’s mountains, the weather here been just perfect lately! “the direct trail to the Boyana Waterfall is notoriously vertical and a challenge for your knees, though there’s no substantial danger of falling.” Don’t agree we just did this trail and it is really not a path at all. It’s loose rock, and clinging to trees to go down. We did fell as well as other people before and after us. Hi Tara! This is the location on Google Maps. It’s a half-hour walk from the village centre. Hi Todor, that is incredible! Thank you so much. Hello I’m going to Bulgaria in March but I’m a bit worried with the weather. Which (easy/moderate) hikes do you recommend nearby Sofia during this season? 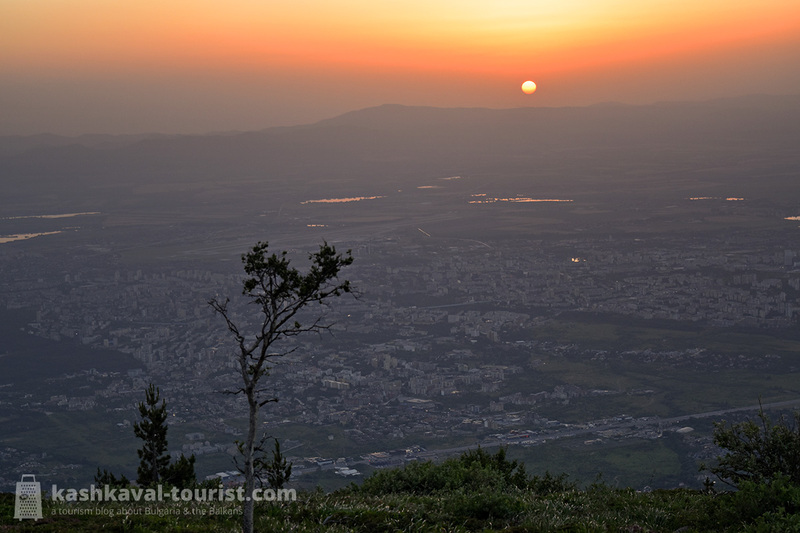 Do you think it is better to rent a car to reach the start point of the hikes? Thank you. Hi Julia! 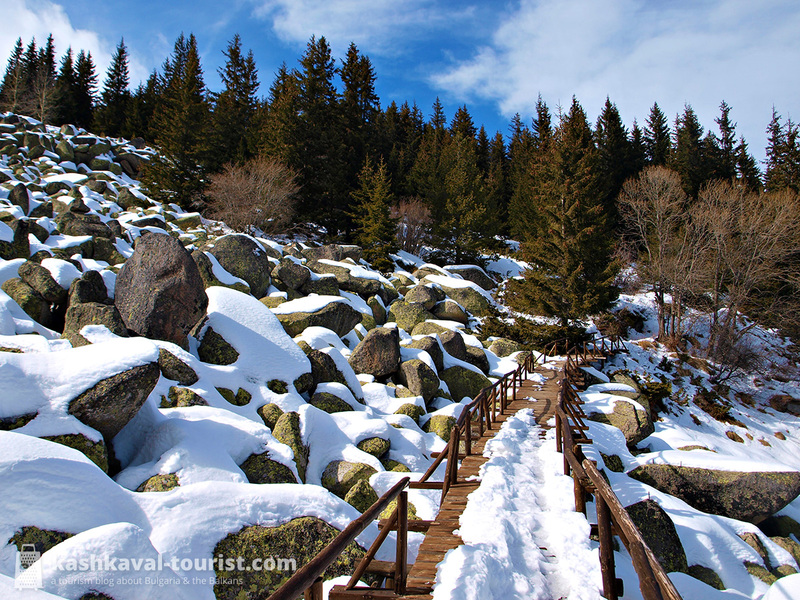 You can definitely go up to Vitosha in March, the ski season should still be on so the lifts will be working regularly. It will be snowy up there. In lower okadwa like the Iskar Gorge and Pancharevo, which I can also recommend for easy hikes, there might be no snow then. Hard to tell in March, it’s very unpredictable. Hi Todor, thank you so much for your answer. As my trip is quite short (only 3 full days) I was thinking to stay in Sofia and then go from there to the hiking spots. Do you think this is doable? Or it is better to just try to find accommodation in the nearby villages? Is it worth to rent a car or public transport is fine? Sorry for so many questions but there is not a lot of information online (at least in English ;-)) thank you in advance!